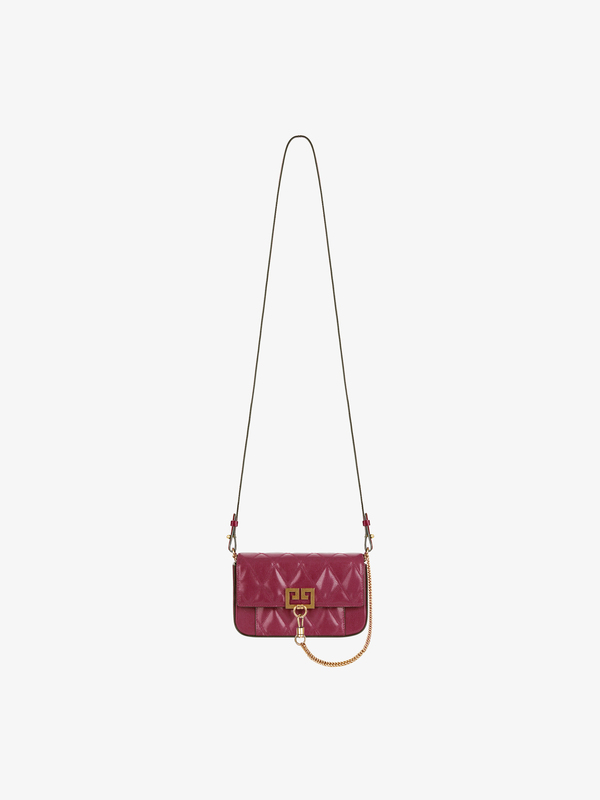 Mini Pocket bag in smooth orchid purple leather with flap and small flat pocket on the front in diamond-pattern quilted leather. Antique gold-finish metal Double G piece on the flap. Bag comes with a long, thin, removable shoulder strap in leather to wear across the body, and a short chain strap to carry by hand that can also be attached to the side of the bag with a snap-hook. One main compartment and one flat pocket inside. One flat pocket and two loops on the back of the bag, allowing it to be worn on the 1.2-inch Double G belt.